Pebble Limited Partnership's updated project plan. 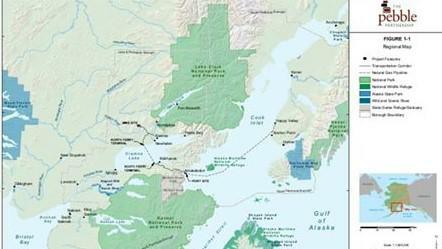 Back in May, Pebble shifted some of its plans for the project, including design changes to the 60-mile natural gas line it plans lay across Cook Inlet. 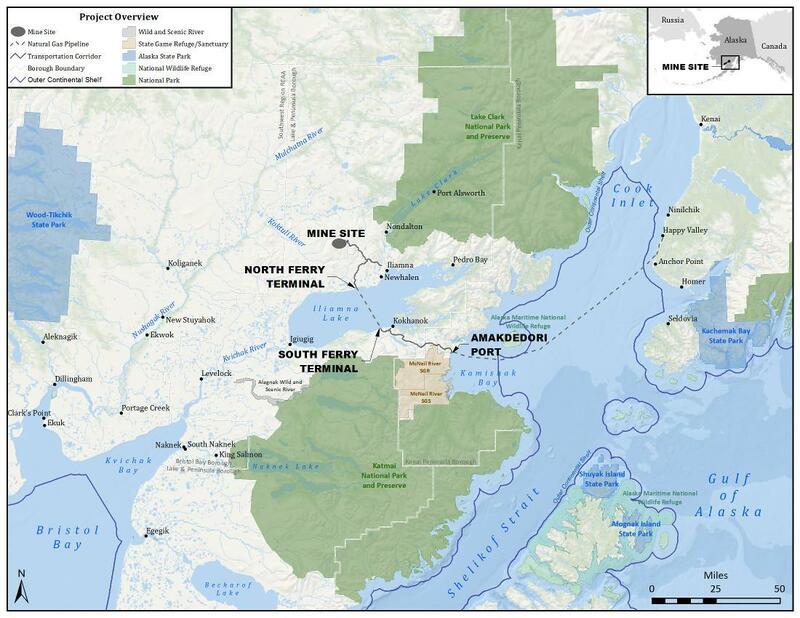 It also changed its plan to ship mineral concentrate out of its proposed port facility in the southwest corner of Cook Inlet. Pebble spokesperson Mike Heatwole said the changes at the port reduce the amount of dredging that would have been required to bring larger barges up to a dock on Amakdedori Beach. “We looked at it and from an environmental and impact perspective, looked at lightering and thought that that made more sense and included that in our memo to the Corps of Engineers,” Heatwole explained. Pebble plans to ship roughly 675 million tons of copper, gold and molybdenum concentrate on 27 barges every year. But instead of loading the semi-processed minerals directly onto those barges from the dock, they’ll be moored off shore, and smaller vessels will ferry or lighter the concentrate from the dock to the shipping barges in sealed containers. 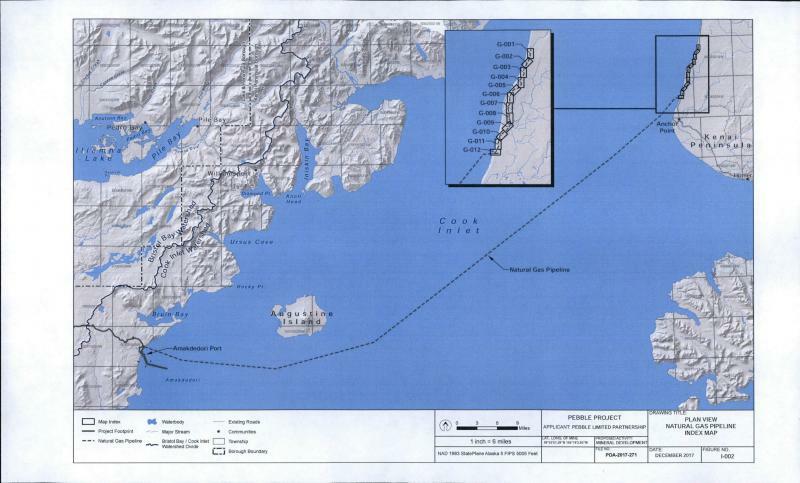 Pebble also plans to increase the size of its proposed natural gas pipeline, which would run from Anchor Point to Pebble’s port facility, across Iliamna lake and on to the mine site. In a May memo to the Army Corps of Engineers, Pebble said the change to the pipeline is to supply a larger 270-megawatt power plant. 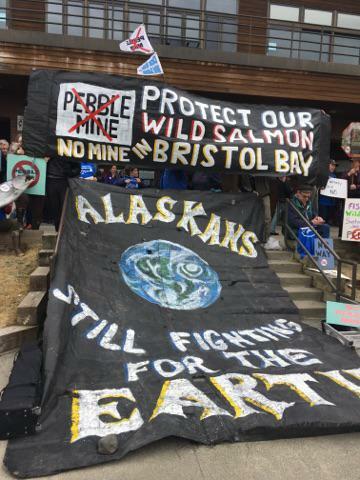 Pebble said it needs the plant – which is larger than what it indicated in its original permit application – to process more material during the proposed 20-year lifespan of the mine. 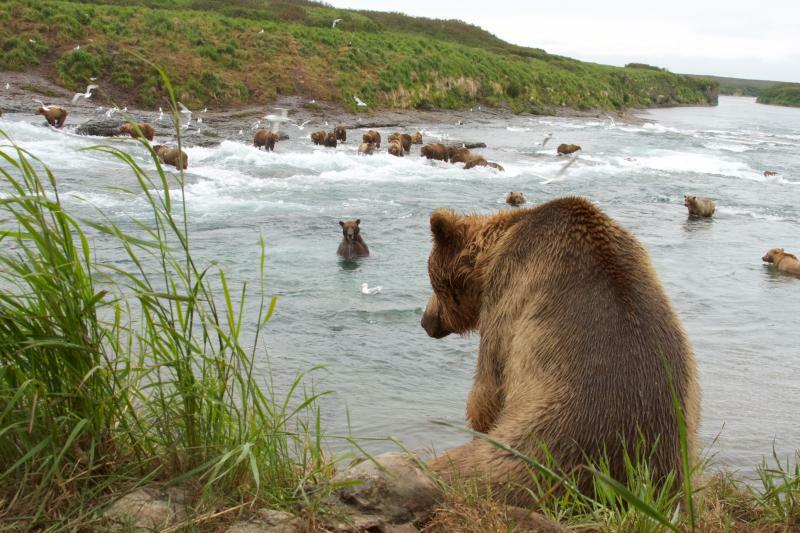 Environmental groups on the Kenai Peninsula and elsewhere are taking issue with those changes. Bob Shavelson is the advocacy director for Cook Inletkeeper. The Army Corps of Engineers said projects such as Pebble can and do change during the scoping process, and stakeholders can submit additional comments on any of the changes up until the deadline. Still, Shavelson and others are criticizing the changes to the port and say the facility as a whole is unfeasible because of the conditions in the area. Homer-based environmental group SalmonState is also taking issue with the plans to ferry concentrate out to barges, but Executive Director Tim Bristol said the group is also concerned about the larger gas line and power plant Pebble is asking for. Bristol argues those plans indicate that Pebble has plans to expand the project in the future. “I think that they're trying to bifurcate or segment the EIS process so they can get approval, and then once in there, get bigger and bigger,” Bristol said. Heatwole said currently, there are no plans for a second phase of the project. Heatwole does note Pebble may request an expansion down the line, but he said that too would go through the environmental review process. The commenting period on Pebble’s current proposal will come to a close at 11:59 Friday, which will be followed by a scoping report. The public will have a chance to comment on the project again when the Army Corps releases the draft environmental impact statement in early 2019.